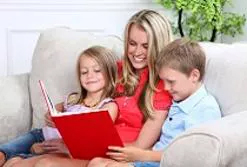 Babysitters - Royal Canadian Health Care Services Inc.
At Royal Canadian Health Care Services, we can help you with live-in nannies, full-time nannies, part-time nannies and babysitters. We understand how difficult it can be to recruit the right nanny for your children, so we’ve made every effort to make the process easy, fast and efficient. All babysitters have experience in professional childcare employment. Most have worked as qualified nannies, nursery nurses in playgroups and daycare centres, teachers and teaching assistants or as registered childminders. Residential Sitters – We can come to your home whether you are a local or a weekender. Hotel/Hospitality Sitters – Enjoy an evening out, a few hours at the spa or a day to wander around town. Many ski hills only accept children over 19 months of age, so let us come to you and you go skiing! Condo/Timeshare Sitters – Make us your regular “weekend away” sitter! Corporate Events/Weddings – Hosting a large event? While the parents are enjoying themselves at a corporate party or wedding, we will keep the children entertained with games, toys and even a movie night. See LARGE PARTY PRICING for additional ideas. Speak to your hotel front desk about renting a banquet room or suite and leave the kids with us! Overnight Care – We are available 24/7 for all your sitter needs..